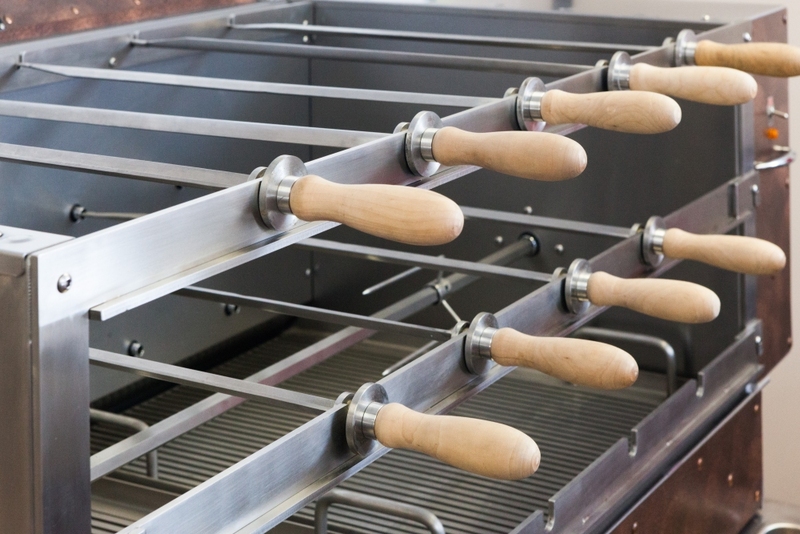 STYLE GLOBAL has to offer a Series of CUSTOM CHURRASCO/ BRAZILIAN STYLE HIGH PERFORMANCE GRILLS, Featuring : Recognised, Renowned World Wide Designed Features Created during the past 15 Years by our In House Design/Manufacturing Team. 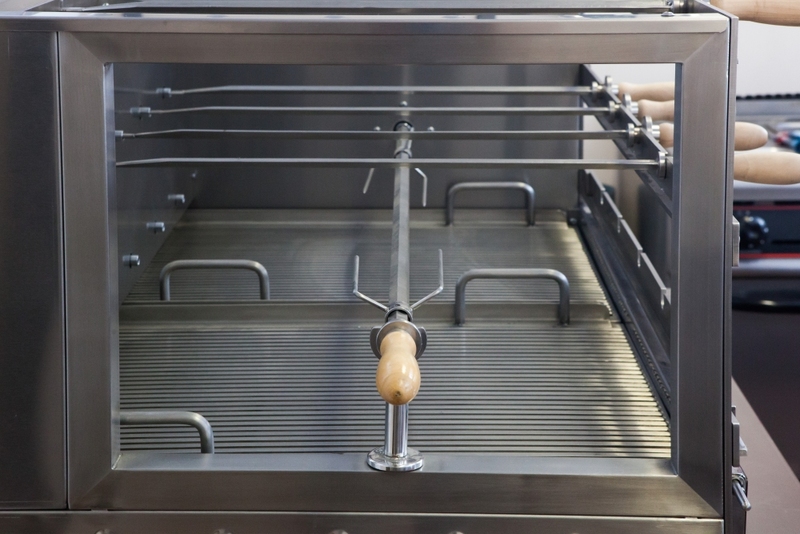 Our Designs are responsible for the recreation of the Traditional Brazilian Style Cooking of various Products.The real magic of the Churrasco is derived from the Special Technique of Cooking Skewered Meats Etc, over Custom Gas Fired Burner Radiants, or Live Fire Pit Solid Fuel Coals. Our in house Design Team Members are real people, who for many years have been responsible for attending to refining Custom Grill Designs introduced to them from industry Clients. 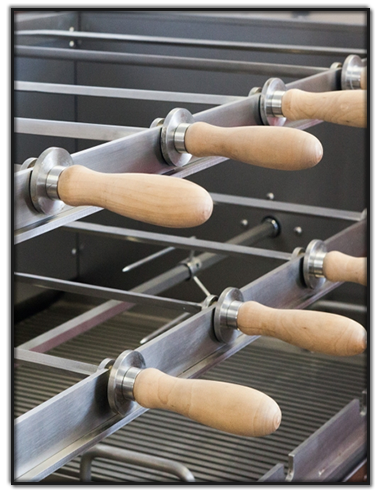 The team has extensive experience in developing New Engineering Features, such as incorporated into our New See Thru Churrasco Style Models, which offers a Distinct Point Of Difference in it’s Design and Presentation compared to that of our Competitors. All Models of our Churrasco Series Grills are Fully Approved and Certified By World Wide Respected Appliance Certifying Bodies and associated appliance testing Laboratory’s. Churrasco Custom High Performance Gas Fired and Charcoal/Solid Fuel Models are available in Standard Sizes: 900mm thru 1800mm Series. 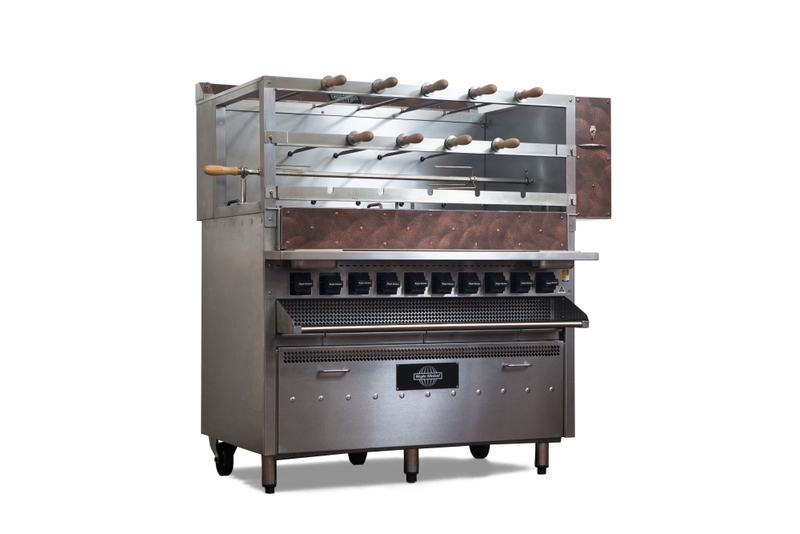 The Style Global team’s ability is able to provide Clients an outstanding array of Specific Custom Churrasco Grill Designs, in order to create a Spectacular Churrasco Grill Appliance, Best Suited for your individual SHOW KITCHEN DESIGN. Contact one of our Design/Sales Team Today.